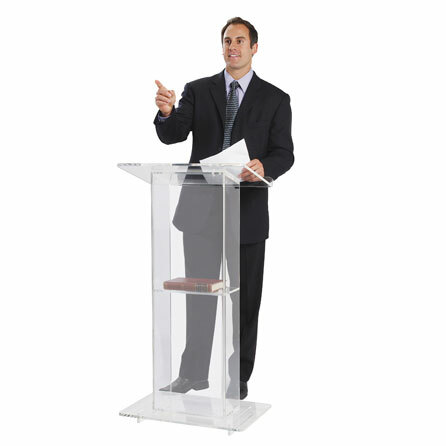 These contemporary designed lecterns are made from 1/2" and 3/4" acrylic plexiglass. 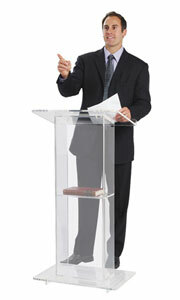 Very popular in churches, these podiums are the clear choice for any presentation space. Choose from three acrylic designs.